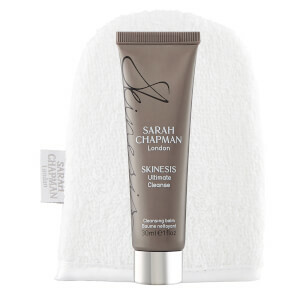 Experience superior cleansing with Sarah Chapman's Skinesis Ultimate Cleanse, an anti-ageing balm-to-milk cleanser that works to lift away stubborn makeup and impurities whilst softening and brightening the skin. With an intelligent formula, the aromatic cleanser combines omega rich oils and powerful antioxidants with anti-ageing actives to gently exfoliate and clean deep down, melting effortlessly into the skin and deep into pores to eradicate grime, dirt and makeup; expertly decongesting to leave your complexion clean, revitalised and glowing. 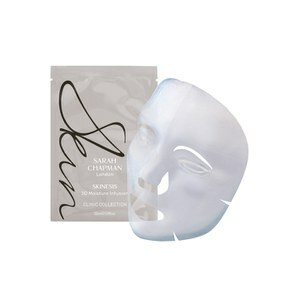 After use, previously tight skin will feel calm and comfortable. Pores will be free of dirt and grime and your complexion will look fresh and radiant. - K.N. Products are packaged in airless pumps to protect light and air sensitive ingredients such as vitamins and antioxidants, keeping your product fresh and potent. Massage into dry skin in upward circular motions, allowing the soufflé balm to melt into pores. Add water and emulsify to a light milk and wipe away with a wash cloth or our Professional Cleansing Mitts. For a quick cleanse mix with water and use as a cleansing milk. 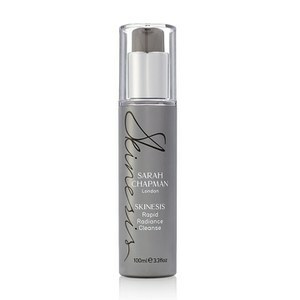 Free Sarah Chapman Ultimate Cleanse gift when you spend £70 on Sarah Chapman. Gift will be automatically added to your basket only whilst stock lasts. Love this product. I have oily skin and tried many products in the past but this one is a miracle worker: it removes makeup, nourishes skin yet cleans it without leaving it too dry. It is more expensive than many others on the market, but it is well worth the price considering that clean and healthy skin is key in any skin care regimen.